Tata Steelium`s stringent packaging standards have been developed to protect the material from adverse weather conditions, damage and pilferage. Based on the distance to be travelled and criticality of application, three new types of packaging standards have been introduced – Premium, Standard and Economy. 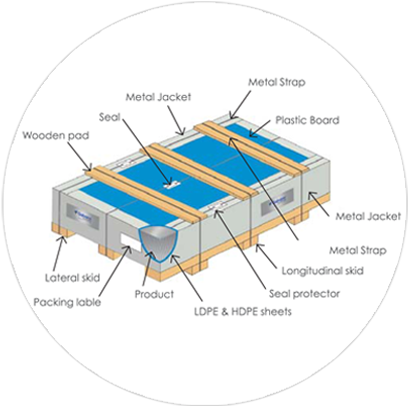 There are distinct identifiable Tata Steel stickers & unique blue seals on the packaging which help identification & traceability.